Intestinal failure (IF) is a condition in which the gut is unable to provide adequate nutrient and fluid requirements for the maintenance of metabolic functions and growth in children. Long-term parenteral nutrition (PN) is the backbone of management, however it is complicated by intestinal failure associated liver disease (IFALD) in ~20% children . IFALD is defined as hepatic dysfunction as a consequence of the medical and surgical management strategies for IF. Serum bilirubin is a marker of IFALD, value of >1.2 mg/dl is considered a “red flag” and > 5.8 mg/dl is suggestive of marked liver injury . IFALD varies in severity from biochemical cholestasis to end stage liver disease requiring liver ± intestinal transplantation. Risk factors for IFALD include prematurity, lack of enteral nutrition, sepsis, longer duration and constituents of PN . Miura W, Nagano N, Kato R, et al. Intestinal failure-associated liver disease and eicosapentaenoic acid/arachidonic acid ratio. 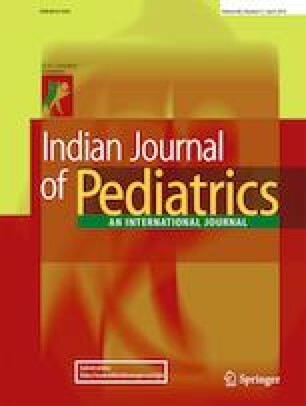 Indian J Pediatr 2019 Feb 13. https://doi.org/10.1007/s12098-019-02895-7. [Epub ahead of print]. Wang C, Venick RS, Shew SB, et al. Long-term outcomes in children with intestinal failure-associated liver disease treated with 6 months of intravenous fish oil followed by resumption of intravenous soybean oil. J Parenter Enter Nutr. 2018 Nov 8. https://doi.org/10.1002/jpen.1463 [Epub ahead of print].